We are here to improve health and wellbeing, to support people to keep mentally and physically well, to get better when they are ill and when they cannot fully recover, to stay as well as they can to the end of their lives. We aim to work at the limits of science - bringing the highest levels of human knowledge and skill to save lives and improve health. We touch lives at times of basic human need, when our care and compassion are what matter most to people. We are one of the UK's biggest and most successful providers of hospital and community based healthcare. to Sheffield, South Yorkshire, Mid Yorkshire and North Derbyshire but also specialist services to all parts of the UK. in the Good Hospital Guide three times. 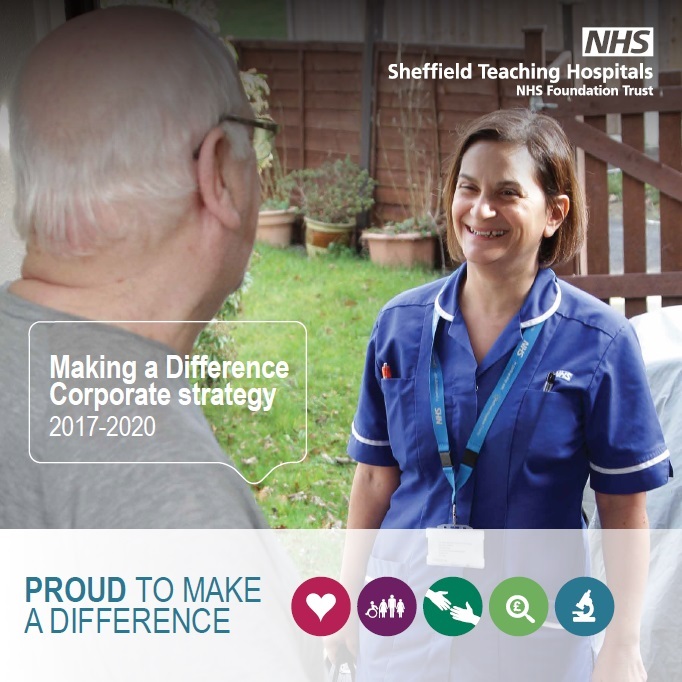 We are proud to be in the top 20% of NHS Trusts for patient and staff satisfaction. to be as healthy and independent as possible. We have a history of providing safe, high quality care and we are a UK leader in clinical education and research.